ORLANDO — In his first two seasons as general manager, Bob Quinn has shown a propensity to get long-term deals done with his best players right before the start of the season. He did it with Matthew Stafford and Glover Quin last year, and with Darius Slay, Theo Riddick and Sam Martin the summer before. All five of those players remain key contributors for the Lions, and there’s a sixth that could join the extension club later this year: Wide receiver Golden Tate. 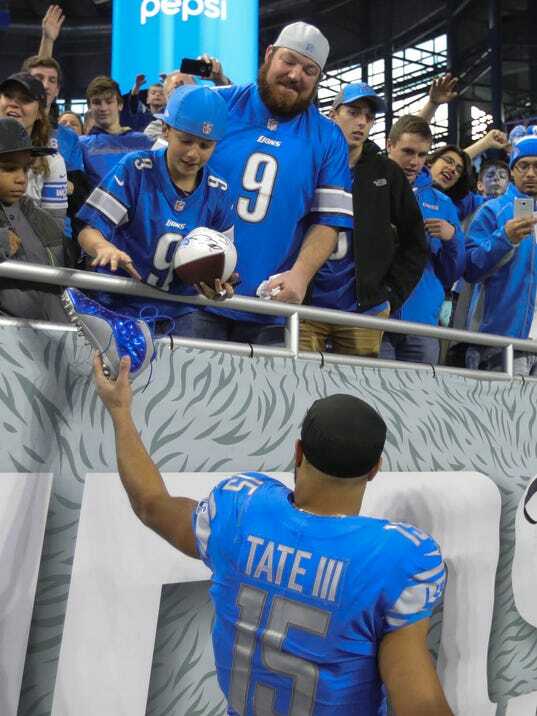 Quinn said at the NFL’s annual meetings this week that talks on a long-term deal for Tate have not started “as of yet,” but he left open the possibility of extending the Lions’ leading receiver from the last four seasons at some point down the road. Tate is scheduled to make $7 million this fall in the final year of his contract.